Dreams and All That Stuff | Music | Style Weekly - Richmond, VA local news, arts, and events. 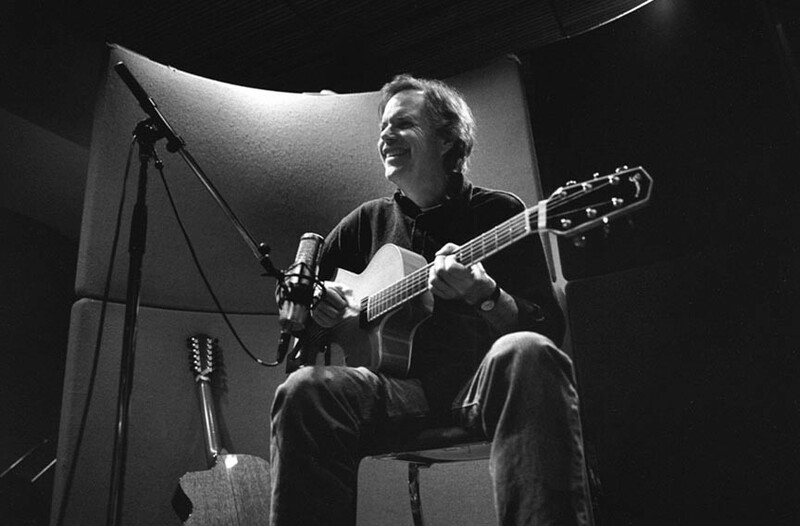 Folk-guitar legend Leo Kottke reopens the John Marshall ballroom. After decades in show business, Leo Kottke is still in love with the acoustic guitar. "You'd give up anything for it," the legendary folk musician says. For more of our in-depth interview with Kottke, who will perform June 6 at the John Marshall Hotel, go to styleweekly.com. Leo Kottke is delighted to learn that he'll be the first paid musical performer to kick off a concert series at the John Marshall Hotel in more than 20 years. "I love playing in a moribund hall," the much-traveled folkie says in his trademark baritone. Kottke's the perfect choice to inaugurate the series at the legendary Richmond destination June 6, in the Virginia Room. In an expansive 45-year career, the Minneapolis-based guitarist has traversed the whole of the American musical landscape -- from raucous blues ("Vaseline Machine Gun") to jazzy syncopation ("Hear the Wind Howl") to open-minded covers (Tom T. Hall's "Pamela Brown" and the Byrds' "Eight Miles High"). Acknowledged as an acoustic master, this is a guy who never let a little adversity -- like bouts of crippling tendonitis or diminished hearing -- fret him too much. Throughout the '70s, Kottke albums were an FM radio staple, but mainstream audiences probably know him best from frequent appearances on "A Prairie Home Companion"; a new generation was introduced to his chameleonlike style through two recent collaborations with Phish bassist Mike Gordon. I'd always heard that Leo Kottke was a tough interview -- when you could get him on the phone, that is. What a crock. Calling from a tour stop in El Paso, Texas, the finger-picking specialist is gracious, funny and forthcoming with details surrounding his still-evolving career in music. And he says he can't wait to bring some new sounds to an old ballroom. Style: Do you remember the last time you played Richmond? Leo Kottke: I don't remember. It's been quite a while. I did a little seminar in Richmond once. That hardly ever happens because I'm not qualified to do that. I mean you put someone who is self taught in front of a bunch of guitar players to tell them how to play… it's kind of fraudulent really. It's embarrassing. Didn't you just get an honorary degree? Yeah, I was awarded a doctorate in musical performance from the University of Wisconsin and then I gave the commencement address and – good god – that was not like show business. Put it this way – I got a call from the chancellor at the University [to do all this] and the phone rang while I was reading reissues of "Tales from the Crypt"? A lot of people have grown up with your albums. So maybe they were fans. Yeah, it's possible. My grandfather was a professor of psychology and a college dean and I remember as a little boy being around the kind of politics of a college, but most of all the atmosphere, he had rats in cages in his offices and would walk home from school at noon and take a nap… he always frowned when he slept. So it was like old home week for me, it felt very familiar. You say you were self taught. When I was 13, I got sick… Once I got sick, I got sicker. After a couple of months I was in bed and not allowed to sit up. So I'd been on my back for two months. My mother brought home a toy guitar because you could play it on your back. I was a trombone player. I didn't really think that the guitar was a musical instrument. It was invisible to my ears. I was into marching bands and wind ensembles and stuff like that. So I was lying there and really sick, all screwed up, and the guitar had a little -cowboy stenciled on it and it was garbage, I can hear it really well and it was junk, but I didn't know that. I made what turned out to be an E chord and strummed it. I don't know how I got it in tune. And that was it. I can still remember it – the sun was shining. I was out of bed in a week, never wound up back in bed. I knew exactly what I wanted and that was the guitar. I didn't dream that it would become a job. I couldn't have cared less and, in some ways, that is still true. The job is a distant second to just being allowed to get my hands on the guitar every day. I sat up immediately and I remember everything about it, beautiful weather – big cumuli out the window, blue sky. It was a happiness that I had never met and it's still like that. Has your romance with the guitar ever worn off? It never did wear off. But I did notice that some behavior of mine would cloud it, so that was it for the behavior (laughs). Dizzy Gillespie talked about that, he wrote a great memoir, "To Be or Not to Bop" He said that you have take care of [your art], to be a kind of a monk, otherwise it won't sustain for you. That's the trick. You'd give up anything for it. The late folk guitarist John Fahey gave your start by signing you to his label, right? The way things worked [in the late '60s], radio was an open format and there really weren't independent labels… I didn't know of any except for John's. I sent him a tape and it took some time but he decided that I should record a record for him. I sent him the cover and a year later he put the record out. I met John a year or so [after that]. Then we played three jobs together in Portland, Oregon. He's one of the two or three best friends I ever had but we rarely saw each other except for that first year or so. We'd cross paths on the road somewhere every now and then. There are so many different accounts of Fahey. What was he like? Peter Lang, who played with John for many years, is probably the guy to ask. Everyone had a different relationship with John. There do appear to be several Faheys. But the John I knew was just a ball. I loved hanging out with John. But he could be as opaque as a bucket of mud, impenetrable, really hard to read. But who cares? It was too much fun. He was very highly educated. His first record was actually done as a kind of a thesis or something like that. [chooses his words] I never quite figured it out, he lived a difficult kind of life… not that he had to struggle, but he really contended with things. Didn't he live out of his car for a time? He lived in what he called a welfare hotel toward the end, working as a therapist. [Laughs] Everything he told me was true, he wasn't a fabulist. He was listening to their troubles living in this hotel. For a while the only address I had for him was a record store in Eugene. He always had a good eye for picking up old records. Have you ever been a record collector? I never have. It never grabbed me that way. But John was a guy, he had a really informed ear and knew a lot about blues – the different kinds, country delta, Chicago blues. Did his music and yours come from the same place? Well, I'd been performing for awhile, way out in the margins, before I heard John. And I thought that we both had to have the same exposure and we did. He was a [Classical composer] Charles Ives freak like I was, he had a lot of Classical influence, a lot of scholarship in what he was doing. And he had a lot of weird… his mom forced him into tap dancing when he was 13 and he didn't want to be a tap dancer [laughs]. If you can imagine that. What we had in common was that we seemed to notice the same kind of stuff but John was the guy… who could put it all together. He was inclusive of all that kind of experience… he could synthesize something like Charles Ives and Charly Patton and he could make it work. One of the fascinating things about John is that other people can play his stuff much better than he did.. better is not the right word. One thing I like about Fahey's work is the rough edges, the unpredictability. Yes, yes… I agree completely. Which is why I want to modify the word 'better.' John could get offhand to the point of falling off. If you hear someone like Phil Heywood play "Stomping Tonight on the Pennslvania Alabama Border," you would suddenly get it. But when you hear John play the tune, which he wrote, you hear John. Do you consider yourself a precise player or do you, like Fahey, sometimes go off? I will go off. On purpose, frequently enough. But not as much as John did. What prompts you to do that? Is it something spontaneous, or do you try and stir up the crowd? You never think of the crowd in those terms. Once anybody does that, they are kind of screwed because that means you can read minds and no matter what we think, we can't do that. It's a trap to approach it like that, you have to make yourself happy. How many dates a year do you play? I don't know. If I go out of the country or do any recording, I'm generally out on the road 80% of the year. Quite a lot. I like it. It has its drawbacks but I like it. Do you have a set list of songs or do you make the list up on the spot? It's on the spot, I don't have a set list. For solo acts, it shows if someone is following a setlist. I do have a few lying around, if there are some that I like. I have written a couple of those down in case I've got a 103 degree fever and can't think. But you can't just do the same thing, it doesn't work. No, I know what I'm going to start with, you have to know that I guess. After that, you just kind of ride that wave and that will tell you what happens next. Some nights the improvising will really take off but that could do a lot of funny things to a set. It can be really hard to follow yourself. I was playing Amsterdam… there was this one piece, "Constant Dreamer," and I had left this one section for improvisation… some nights it wouldn't come to much, some nights it would kind of work. And that one night, it… it just took off. You play beyond your ability and beyond your means. You don't know where the body of this is coming from, the execution you can see -- you know how that happens. It was really fun. So it doesn't happen very often? No not that well. But that one thing was… it's uncanny when that happens. And the problem was that it was so nice that I should have just gone home. It was the middle of the set but I was done. Your version of "Pamela Brown," which features your singing, is a favorite of mine. I had always heard you don't like to sing. I like it now. I'm happy with it. I got into trouble because the guitar took off for me at one point. In the beginning, I sang and played all the time and instrumentals weren't (as important). And then the guitar took over everything and all I wanted to do was play. But I didn't have the time to work it out. When I started off I was a shouter. Was that your natural voice? That was my natural ouch. I wasn't emulating anyone. I couldn't sing so I would just be singing at the top of my range. And people liked it. And then something – I think it was recording my voice – something changed all that and then suddenly I was trying to sing and that's when I hated what I was doing. Now I don't try and I'm better if I don't try. I'm happy with it. I enjoy it a lot now. Live, your monologues can be as entertaining as the performances. Do you work out that stuff in advance or is that improvised too? I started doing it by accident in the first three years of really working steady. When I didn't talk to the crowd, I couldn't get a set to cohere. But when I talk to them, I know exactly what I ought to hear now. And that's why I open my mouth – it shows me where the arc of the set is. It just comes to you what you want to do right now. That's how that works. Otherwise I wouldn't open my mouth. Believe me, I don't know very well what I'm going to say. There are some subjects that I'm familiar with and those I'll repeat often enough. One of the things I'm coming to like about talking is that sometimes it really backfires. In so many different ways, I get so lost I don't know where I am… or I'm lost, don't know where I am and I don't know that yet. And you can feel the crowd kind of… leaving in place. And sometimes I'll just completely humiliate myself or I'll insult somebody or something. Fortunately it doesn't happen very often. But I'm glad it happens because it means it isn't schtick. If it's that dangerous, I'm keeping the risk in there and you have to have risk. You've never been afraid to try new things. Did your work with Mike Gordon of Phish win you any younger fans. Both young and old, hadn't heard me before. Or they had heard of me but thought I was just an old folkie. Mike is really good friend and he was one of the smartest people I know and sidesplittingly funny. And he is a trained musician and knows what he's doing, very quick. We've made two records and want to do another one. Jon Fishman, the drummer for [Phish] I've known longer than I've known Mike… he says we ought to have a little trio. That would really be something. If we get that together, that's really going to click. One thing I've always appreciated about you is that you cast a wide net, incorporating tunes like "Eight Miles High" in your repertoire. Would it be fair to say that you are a little more open-minded than many in the folk set? It's hard for me to say but I'd certainly back you up (laughs). At the heart of it is that I'm still as crazy about the guitar as I was that first day I sat up, and a piece like "Eight Miles High" is absolutely made for the guitar, it's a real guitar tune. Leo Kottke will perform in the Virginia Room at the John Marshall Hotel on June 6 at 8 p.m. Tickets $27-$65. For tickets, go to ticketstobuy.com or call 794-6700. For information on future events at the John Marshall, go to johnmarshall.com.